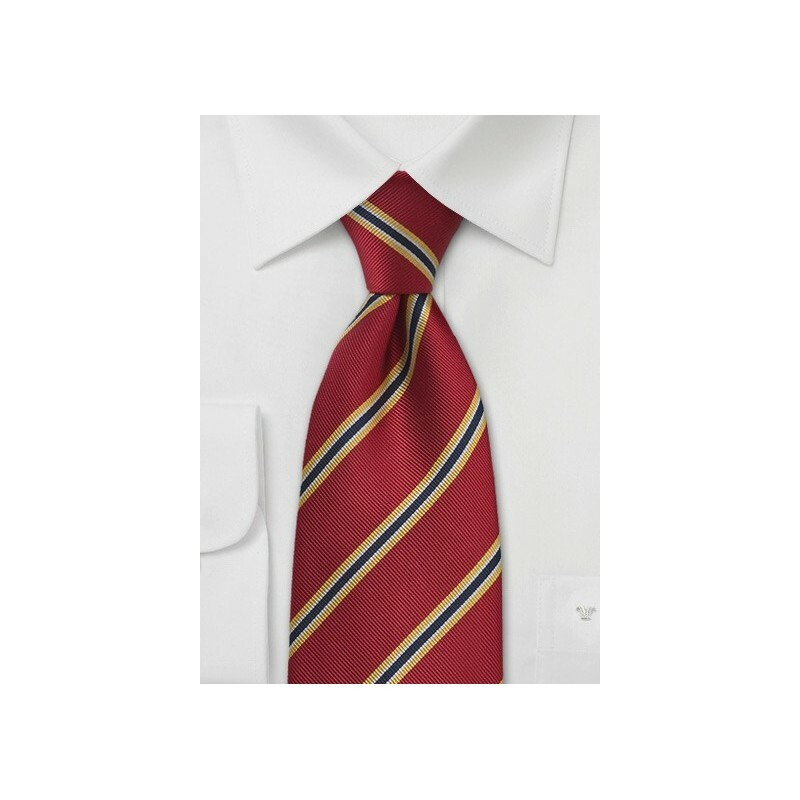 Add British sophistication to your sports coat or blazer with this crimson red, navy, and yellow tie by Parsley. This tie is part of Parsley's regimental tie collection. It is made from a ribbed textured mogador silk - a fabric that perfectly compliments the traditional British design. 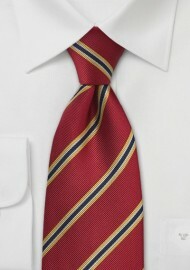 This red British tie is made for the big and tall man. It is 4 inches longer than the normal length tie and perfect for big and tall men that have a difficult time tying a normal length necktie. Handmade from woven Mogador silk.